The one on the right is a cigarette ad from the 1930s. 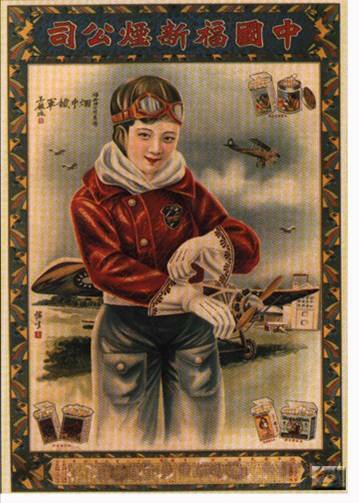 The one on the left is the Chinese aviatrix Lee Ya-Ching, who I have mentioned before. As you can see, they are pretty much the same picture. 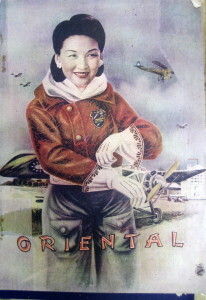 The picture of Lee is from the cover of the Oriental, which is a Spanish language magazine from Lima, and it is obviously connected to Lee’s wartime fund-raising tours in South America. Other than that I knew nothing about the magazine, but luckily for me at AAS this weekend I heard a very good paper by Ana Maria Candela, where she discussed the magazine. It is, as I mentioned, in Spanish, which I found odd, since North American Overseas Chinese published a lot in Chinese. 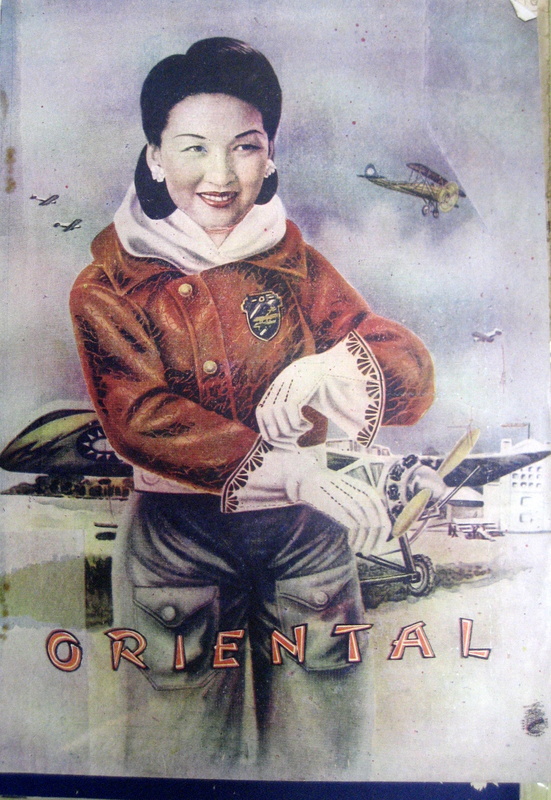 She explained that the Peruvian Chinese were raising a generation of mostly Spanish speaking kids, and so a magazine that defined Chineseness in Spanish was useful to them.1 The magazine circulated well beyond Peru, although that was the center of it. They often had these sort of photoshopped calender girls on the cover, and wanted to portray a very modern Chinese woman with lot of athletics, and, of course, flying. It was a very interesting paper and panel. You should have been there.